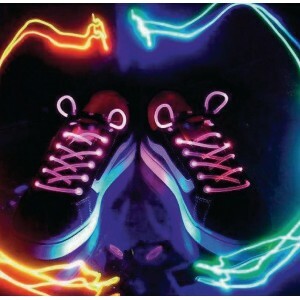 Thes flashing shoe laces lighten up your shoes, handbag or backpack. The Led lights will flash for approximately 70 hours on a full battery. The laces are waterproof. 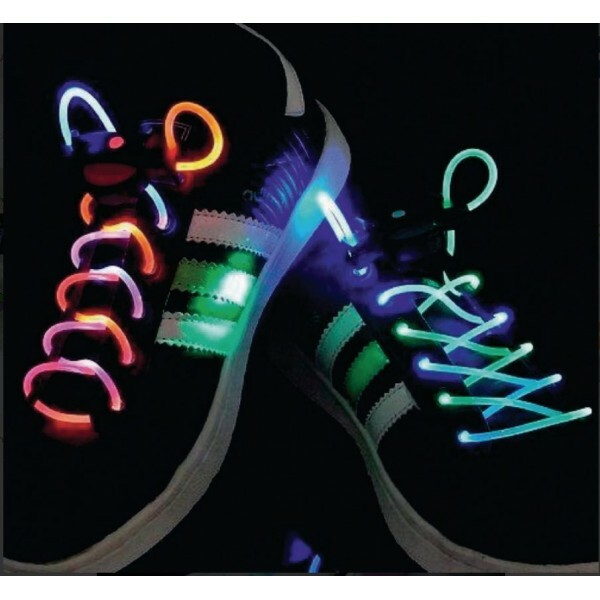 Gift sets of two shoelaces with LED lighting. Steal the show with this luminous shoelaces! Impress on festivals, disco's or parties! Through a switch to turn on and off the LED shoelaces. 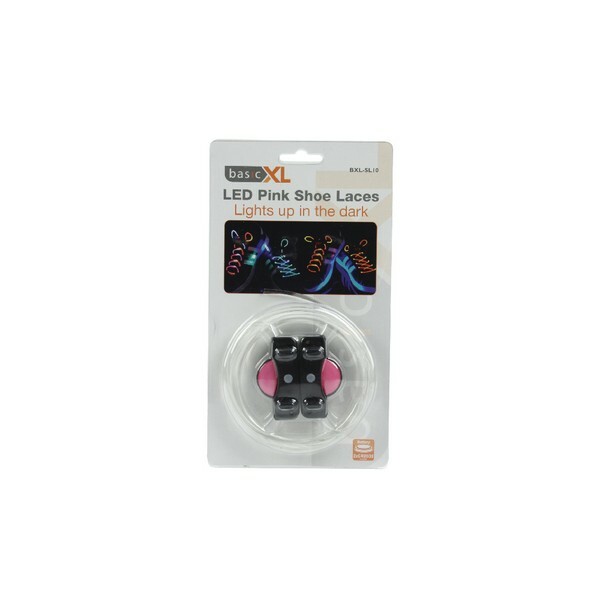 The laces are of soft plastic. 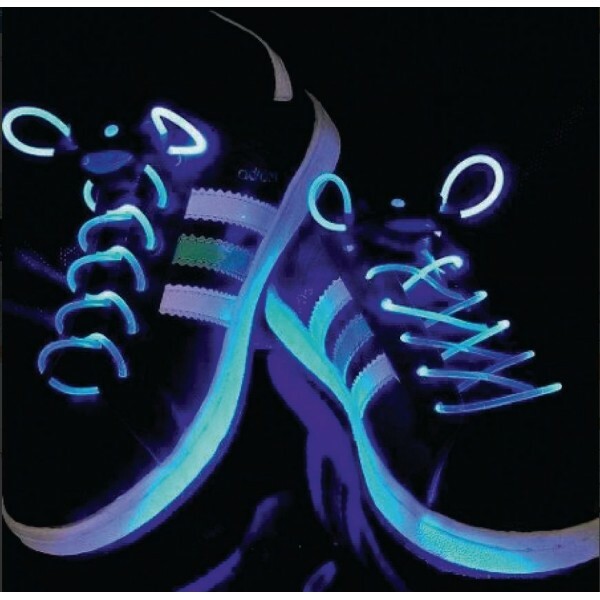 Content: 1 pair of LED shoelaces.